This week national governments will meet in Brussels to vote on a deal – part of the EU’s clean energy package – that would recognise the right of people and communities to produce their own energy. It could represent possibly the biggest systematic change to Europe’s electricity market in a generation. Unearthed has got hold of the final text of the renewable energy directive, which could boost the take-up of renewable energy from households and small producers in the EU. The UK appears unsure as to whether it will integrate the policies into national law after Brexit. The potential of “distributed energy” has always been significant. According to one study, a third of the UK population could be producing up to 44% of the country’s electricity from renewable sources by 2050. The problem is that the way power is bought and sold isn’t really set up for mass production of electricity by millions of households. It’s set up for giant coal-plants or, at a push, huge offshore wind turbines. Renewable subsidies designed to promote the take-up of particular technologies such as roof-top solar have challenged this, but when the subsidies fade the complexity returns. It’s a system set up for large energy companies who hire teams of traders to buy and sell their power — and it’s suited them to keep it that way. These companies tend to use fossil fuels and nuclear power, transitioning towards renewables at a snail’s pace. By disrupting this system, and enabling individuals and communities to produce renewable energy, millions of people will be able to more directly contribute to the fight against climate change — while helping to develop the renewable energy industry, cut electricity bills and reduce reliance on the traditional energy producers. The rights of citizens to produce, consume, sell and store renewable energy will be enshrined in EU law. They can do this individually, through aggregators and peer-to-peer trading. They can also act jointly in a building or multi-apartment block and a third party can help manage the installation. Believe it or not, that’s not actually a given. It is quite possible (in Spain for example) to generate and share power from the solar panel on your roof and get paid nothing at all. Under the new rules, those producing their own energy have to receive at least the market value for the surplus electricity they inject into the grid. The legislation provides for small-scale renewable producers to be paid for benefits that they give to the system and the environment. It makes Spain’s controversial ‘sun tax’ officially illegal under EU rules. The sun tax requires all excess electricity to be given away to the grid for free, and imposes high charges on those who consume the electricity they produce themselves (for a small-scale system above 10kW). National governments are explicitly allowed to come up with electricity sharing schemes such as virtual net metering, a system that allows electricity credits generated in one location to be bought and sold or transferred to the electricity bill of another location. Given that many people live in an apartment, don’t own their house or live in a house unsuitable for roof-top solar, this provision is essential to allow everybody to become active in the electricity market. In the US and Greece, consumers pay grid charges for the electricity that is transferred between locations. In those countries electricity sharing schemes such as virtual net metering allow vulnerable consumers and those suffering from energy poverty to access renewable energy, thereby reducing their bills. Renewable energy communities, such as Brixton energy, are now clearly defined and distinguished from traditional energy companies. This ensures that traditional companies cannot abuse the beneficial rules for cooperatives. At the same time, the rules will force governments – except perhaps the UK – to give smaller providers a way of accessing state support. Right now massive bureaucratic auctions are in vogue and fast replacing simple direct tariffs. They are a good way to drive down the price of large projects and work great if you happen to have an entire office of traders and accountants to do the paperwork. Local co-ops are effectively frozen out entirely. Instead, the rules state that national governments have to take the characteristics of renewable energy communities into account when designing support schemes so as to allow them to compete on an equal footing with traditional participants by creating, for example, simple and direct payment systems for smaller providers. 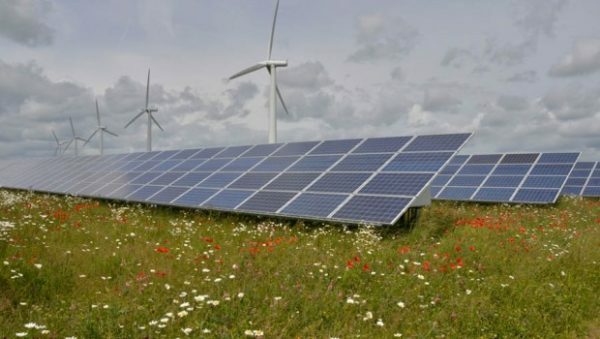 The UK has promised a “green Brexit” but many of these rules may make it easier for small onshore wind and solar power something the UK government has gone out of its way not to support. The same directive would also, eventually, commit the UK to energy efficiency, energy from waste and renewable energy targets – something the government has also long opposed.